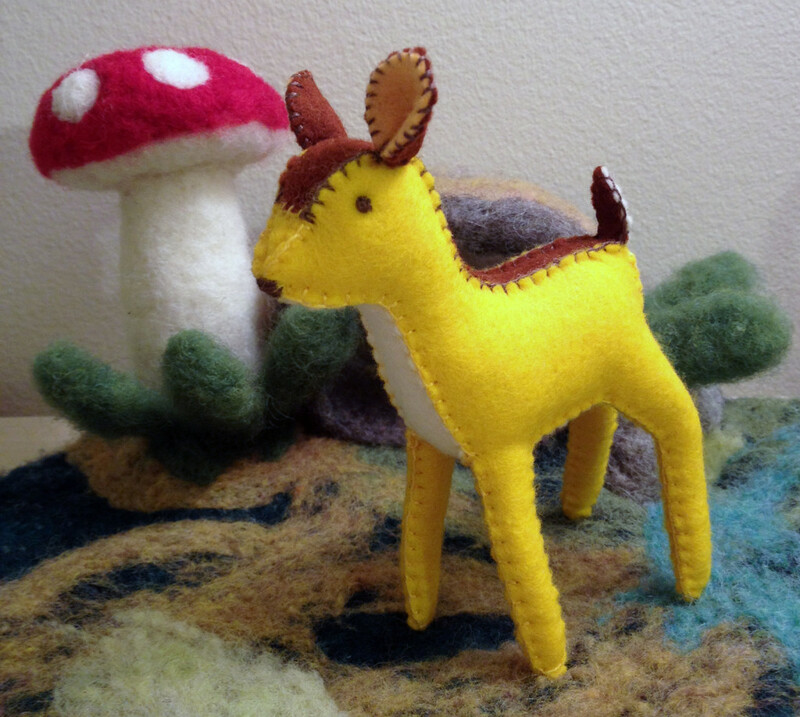 Small yellow deer made from wool felt. 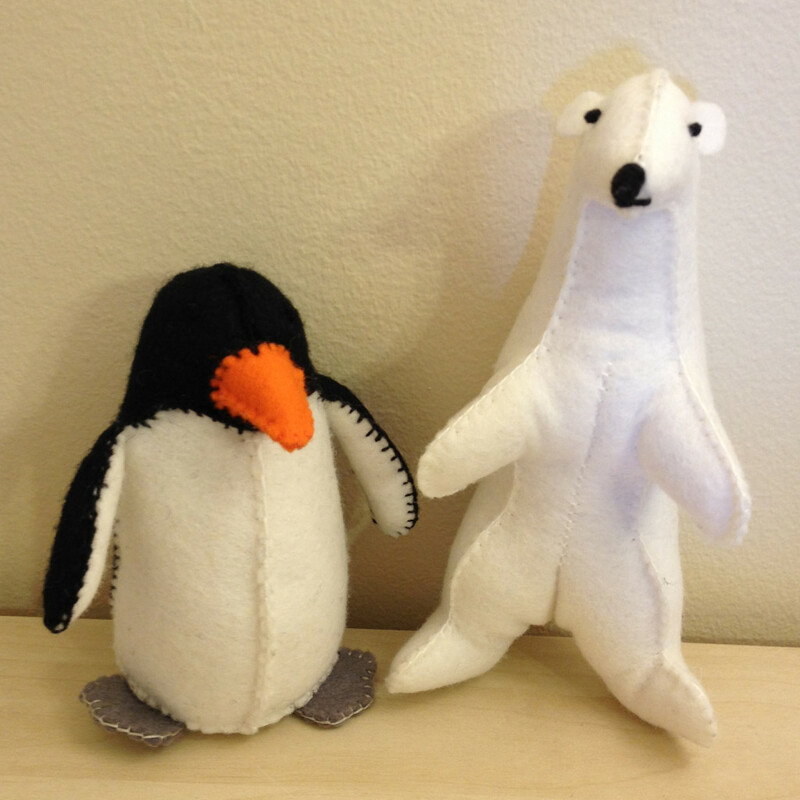 The toy is about 4″ high. 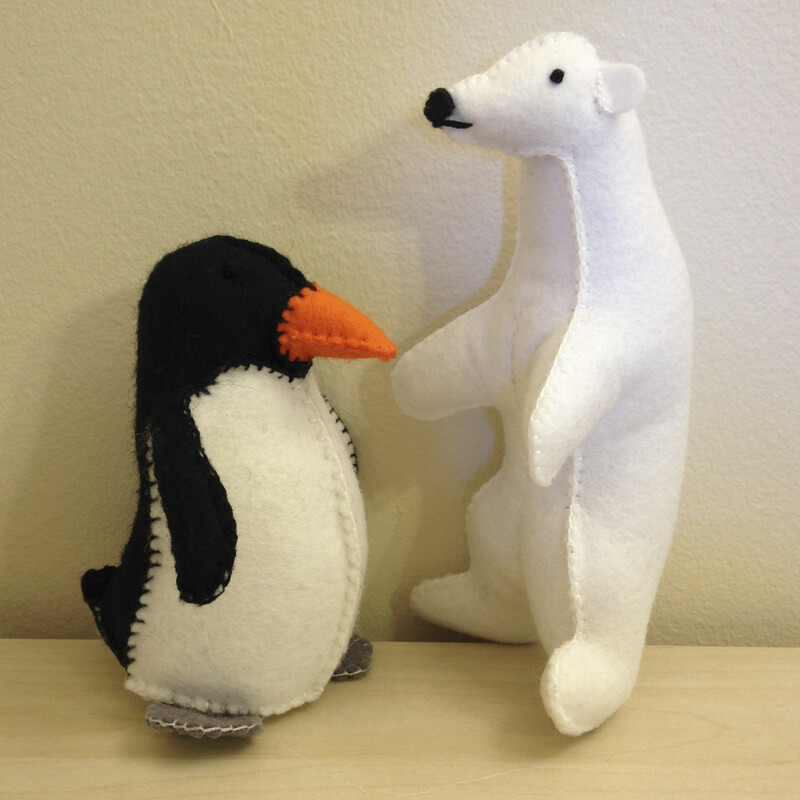 The bear is about 6″ high and the penguin is about 5″ high. 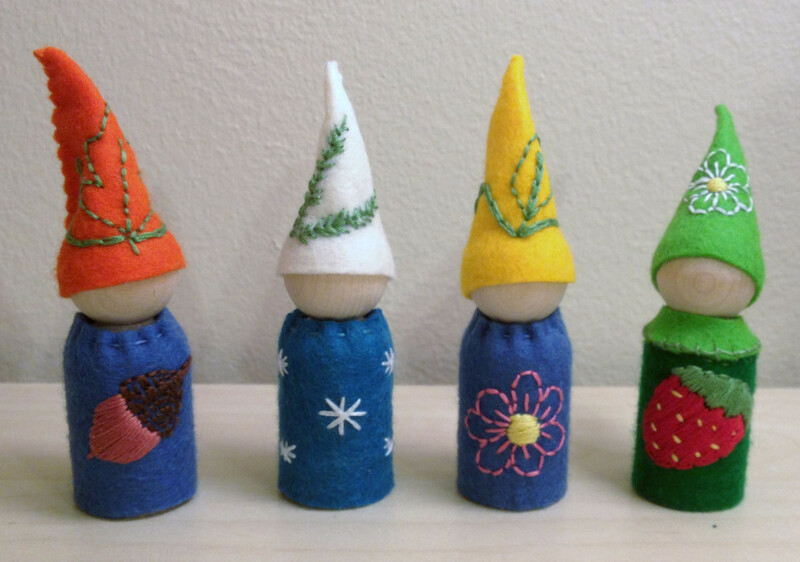 Waldorf-inspired small peg dolls (4″ high) to teach seasons to kids. 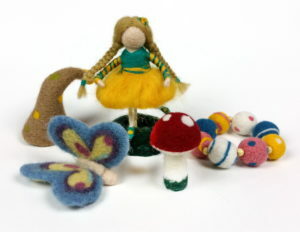 Natural wool felt, wood and some love! This is a small Waldorf-inspired play mat (about 12″ x 12″). 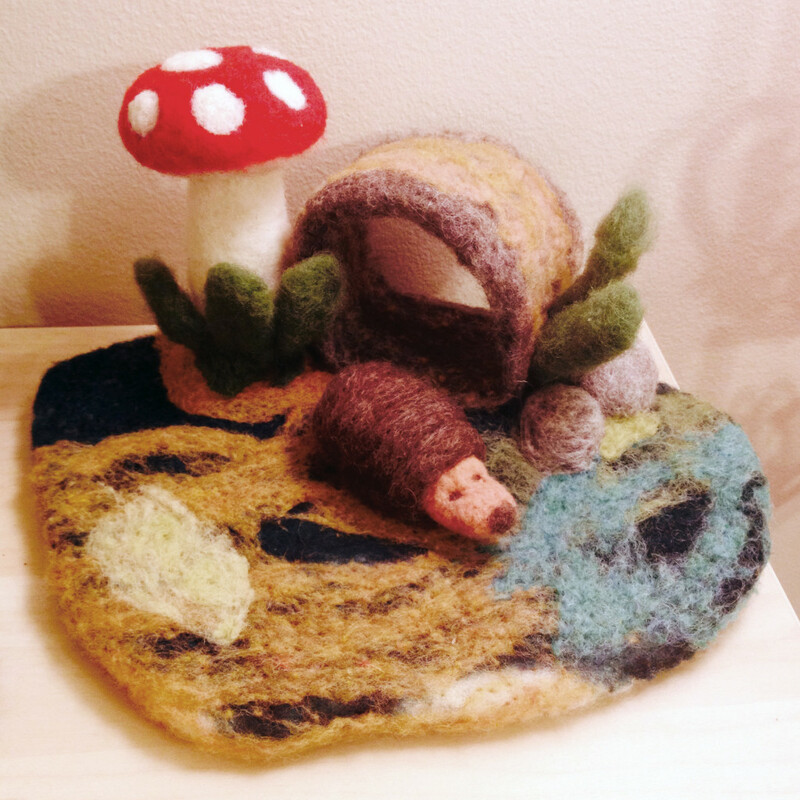 It comes with a little hedgehog, who lives in the log house.